Sore eyelids tend to impact everyone at some point in their life. Sore and swollen eyelids, whether located along the bottom of your eyes or the top, can cause discomfort and unease. 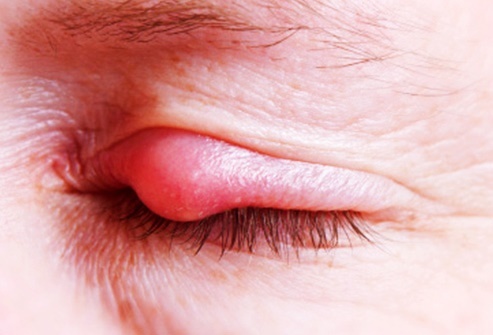 There are a myriad of symptoms and causes that come with this; however, regardless of the factors, you shouldn’t ignore swollen, red, and itchy eyelids. If your eyelids are painful and swollen, and you have a sore eyelid, avoid rubbing your eyes or touching the eye area. You should take out your contact lenses and keep them out, and avoid wearing any eye makeup. Contact your eye doctor and ensure you visit them as soon as possible. They can identify the problem, help you pinpoint causes, and ensure urgent care. Based on the cause and your symptoms, your doctor will prescribe medications and recommend other treatment options. Luckily, there are many topical products available that you don’t need a prescription for, and which you can easily find. 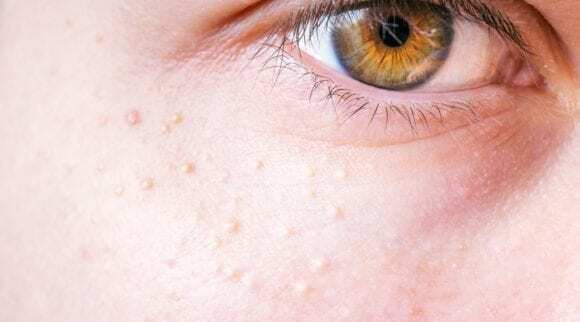 These include creams, sprays, and lotions that you can safely apply not only to your eyes, but all over your face and skin to reduce the symptoms of your soreness and swelling. How do you know for sure you have eyelid edema? Like many eye conditions, sore eyelids come with a wide range of symptoms, which is part of the reason why it’s imperative to see an eye doctor right away so they can help you determine whether you truly have edema. Symptoms can also differ between general symptoms that are mild, and more serious ones that may indicate a worse, underlying health condition. If you have any of these serious symptoms for any period of time, contact your doctor or seek medical help immediately. You shouldn’t wait to get help, as your vision could potentially be permanently affected by these symptoms. Allergies. 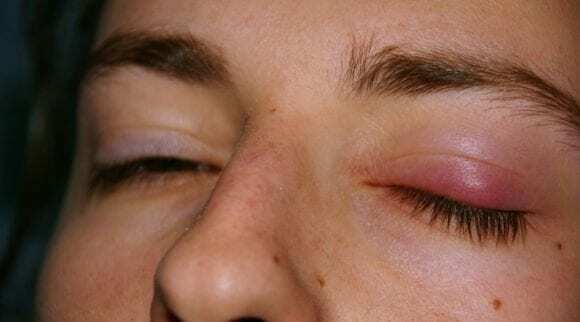 This is the most common cause for swelling, soreness, and redness along the eyelids. It develops as your immune system reacts to allergens, which vary by individual. Your eyes may become red and itchy over anything from pet hair, certain foods, or contact with certain metals. Trauma. If your eyes have been in contact with anything or have been hit, your eyelids will become sore and will swell up. With this type of cause, treatment usually involves ensuring your eyes receive cold or hot therapy to reduce swelling. Infections. 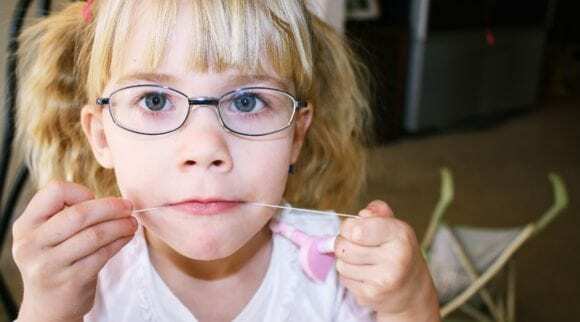 Infections are another common cause, and are due to bacteria and viruses. Once your eye is infected, you may need artificial tears or prescribed medication, as it is more difficult to treat and harder to get the redness and swelling to go down. Environmental, or external, factors. Wind, smoke, smog, and chemicals can cause irritation and eye soreness. Some people are more sensitive than others to these factors. 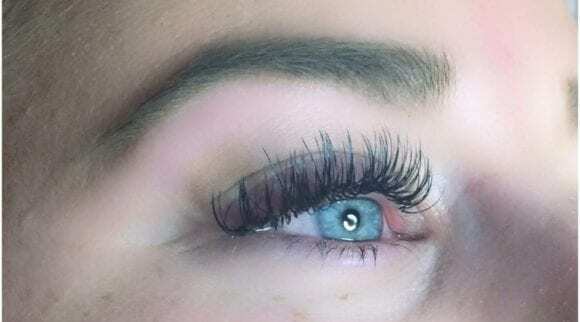 Luckily, treatment is easy, as it’s recommended to merely avoid the factor that leads to sore eyelids, such as staying out of the wind or staying away from people who smoke. Pink eye. 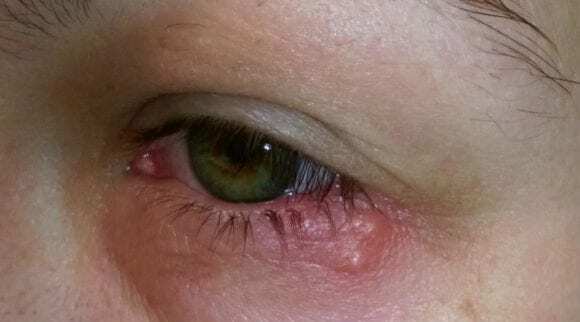 This condition, also known as viral conjunctivitis, occurs when the conjunctiva, the clear membrane that covers the whites of your eyes, becomes inflamed. This inflammation is caused by viruses. Styes. Styes are caused when the oil glands in your eyelids become inflamed or infected by bacteria. Styes may be itchy and tender when you touch them. They usually form as red bumps along your eyelids. Chalazion. These develop when the glands of your eyelids become blocked, and the blockage forms into hard lumps that cause swelling and redness. Speak with your doctor to pinpoint the underlying causes of your soreness so you can discover the best type of treatment for you. The cause may also determine the severity of your edema and how long it lasts; for example, if your eyes are sore due to allergies, it probably is not severe and may come and go as flare ups every once in a while. For more severe causes, you may need more intense treatment. If you believe you’re experiencing mild symptoms of edema, your doctor may recommend one of the following products to provide immediate relief to your eyelids and surrounding eye area. These cleansers, eye masks, and creams give a soothing sensation to your skin and work best if they are incorporated into a daily healthcare regimen. 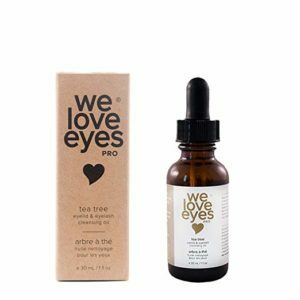 Eye Love’s hypochlorous acid eyelid cleanser spray is completely natural and safe, with organic and vegan ingredients such as diluted hypochlorous acid that won’t irritate the delicate skin around your eyes. All it takes are a couple sprays to relieve and soothe your eyes from many conditions, and with fast onset of action, you won’t have to wait long for that relief. 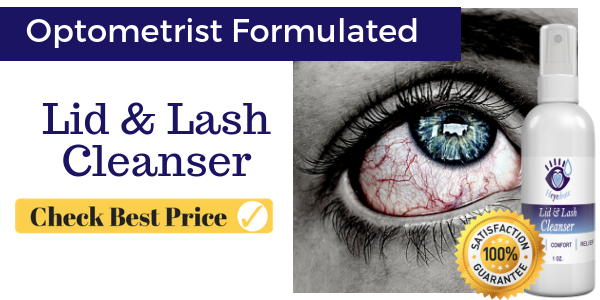 The spray can be used after you’ve removed your makeup, to increase comfort with your contact lenses, and to aid in recovery before or after eye surgery. You can also protect your eyes for the future, as the cleanser prevents biofilm from forming and kills microorganisms. The spray is safe for anywhere on the skin. Clean the area you will be treating so it’s free of makeup and debris. Spray the area one to two times, and either rub in gently or let dry; there is no need to remove or rinse. For best results, repeat morning and evening as part of a daily regimen. 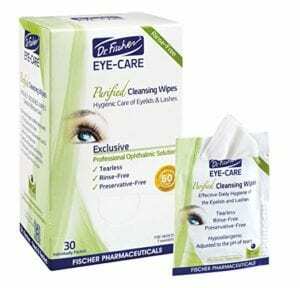 Dr. Fischer has developed an easy, convenient way to take care of your eyes with these gentle, pre-moistened wipes. Your eyes are extremely delicate, and this product was made to match. Clearing dirt, dust, oil, matter, and other foreign objects from your eyes has never been easier–just wipe and clean. 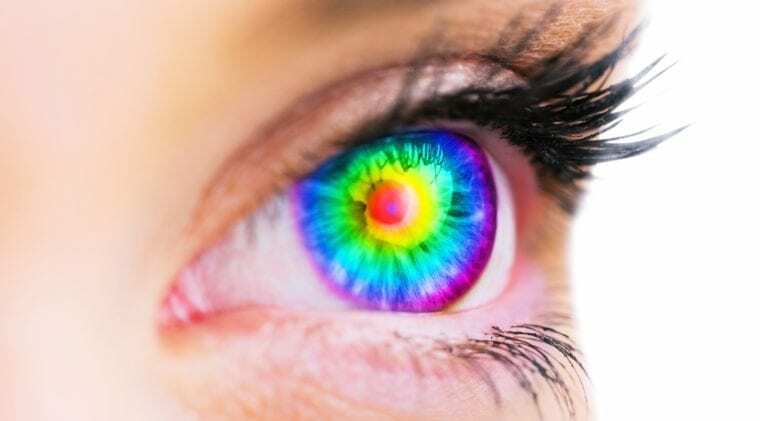 It’ll also help your eyes for the future, as it prevents the worsening of conditions and bacterial growth, so your eyes will have plenty of time to heal naturally. These wipes have been recommended by dermatologists and ophthalmologists for any age. The product has also undergone rigorous testing and research to ensure that the wipes are completely safe and effective. Open an individual foil pack, unfold the towelette, and gently but thoroughly cleanse your lashes and eyelids on both eyes. Ensure that you clean the corners of the eyelid, as well as between the lashes. There is no need to rinse. Discard after use; each wipe is only meant to be used once. Repeat as needed using a fresh towelette. You can incorporate this into a healthy daily hygiene routine. Yonka’s delicate eye contour cream helps to reduce a tired and puffy appearance and makes your eyes fresh and bright with key ingredients like rosemary, cypress, and lavender oils which reduce fluid buildup and boost circulation. Rosemary also contains natural toning properties. The cream is comprised of an anti-fatigue formula that is free of parabens, so the product is natural and not harsh. The cream brightens your skin and provides a de-stressing, soothing sensation for immense relief. In the end, you’ll feel energized and fresh with this cream that partners beauty and health together to fight signs of fatigue and provide your eyes with their best health yet. Twice a day, in the morning and evening after makeup and contact lens removal, apply a thin layer of Yonka’s eye contour cream to the eye area. To prevent tearing and to allow time for the fragrance to dissipate, close your eyes as you apply. If your eyes are especially puffy/swollen or you’re experiencing flare ups, you can apply a thicker layer and let sit for fifteen minutes. Use daily for best results. Soothe your eyes with Heyedrate’s eye mask. It provides heat compression for relief and to reduce puffiness and redness. It contains technology to absorb moisture from the air and release the moisture as clean heat. Not only does the mask soothe and treat your eyes, but you can also use it to relax before you go to bed, and to help you fall asleep more quickly and stay asleep more easily. 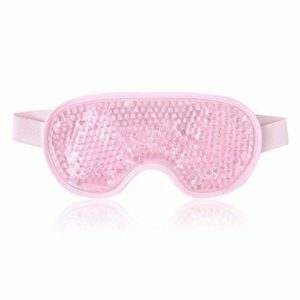 Find your best night’s sleep yet with this soothing eye mask that is often recommended by clinicians and doctors. It’s also very easy to use–simply put it in the microwave for 20 seconds and place it over your eyes for up to ten minutes. It’ll provide natural moisture and hydration for the most sensitive skin and area of your face. Before bed, put the eye mask in the microwave for 20 seconds. Add more time if necessary. The mask should be warm, not hot, to the touch. Close your eyes and put the mask over your eyelids for up to ten minutes. It’s recommended that you wash the mask between uses. For best results, use daily as an integral aspect to your bedtime regimen. Wilma Schumann’s hydrating eye pads can help you to reduce the appearance of wrinkles and fine lines, as well as decrease swelling and redness. With 100% collagen and hyaluronic acid, these pads are fortified to reduce puffiness and alleviate health conditions as they improve the overall appearance of your eyes. Since it’s completely free of allergens and parabens and has undergone clinical trials, you know you’re getting a product that’s not only effective, but completely safe for all types of skin. It’s also very gentle and non-irritating as it provides a soothing, cooling sensation to your eyes. With Allantoin, these gel pads are an intense hydrating treatment that ensures the best care possible for your skin. Clean your eye area thoroughly before use. Apply one pad to the under-area of each eye immediately after you open the foil pack. Apply evenly. 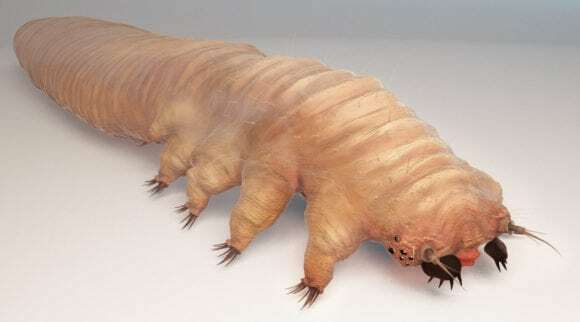 Leave on your skin for twenty minutes, then dispose. Do not reuse the pads. Safe to use daily. BeeFriendly’s all-natural moisturizer is certified organic by the USDA and rejuvenates your skin for an anti-aging, soothing, and relieving effect. With ingredients that have been clinically proven to aid naturally in the reduction of wrinkles and fine lines, it deeply moisturizes several areas of your skin and helps you feel radiant, youthful, and healed. These ingredients include beeswax with pollen, essential oils, raw Hawaiian honey with royal jelly, extra virgin olive oil, and vitamin E–only ingredients that will be beneficial for your skin. The concentrated cream also absorbs quickly and provides deeply penetrating moisture to leave your skin feeling nourished and healthy, no matter what type of skin you have. After you have cleansed your skin, rub the cream on with small circular movements until it’s been completely absorbed. Apply sparingly. Can be used either as a day cream, or a night cream. 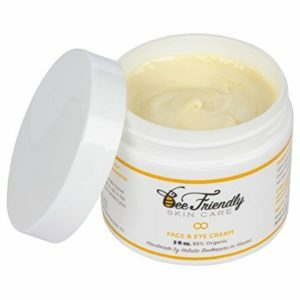 The cream is all-in-one for your eyes, neck, décolleté, and face, as well as the eyelids, hands, and behind the ears. The best results are achieved if used daily. Newgo’s eye mask brings you easy and fast relief with unique gel beads that can be either hot or cold to provide you what you need. Simply put the mask in your microwave for ten seconds, or let it stay in the freezer for a couple hours. The hot and cold temperatures will hold for twenty minutes, long enough to provide you with relief, and you can reuse it however much you need to. The soft, latex-free fabric of the mask allows for dual temperatures and ensures comfortable use. Since the mask is certified by both the FDA and CE, you know it is completely safe and won’t break or leak. The gel beads also ensure that the mask’s coolness or warmth will be spread evenly across your eyes or forehead, so you get the maximum therapeutic benefits. For heat therapy, heat in the microwave for ten seconds; for cold therapy, freeze for two hours minimum. Apply to your skin right away. Mask comes with elastic band so you can place it around your eyes or head comfortably and snugly. Leave on for up to twenty minutes. Repeat as needed. 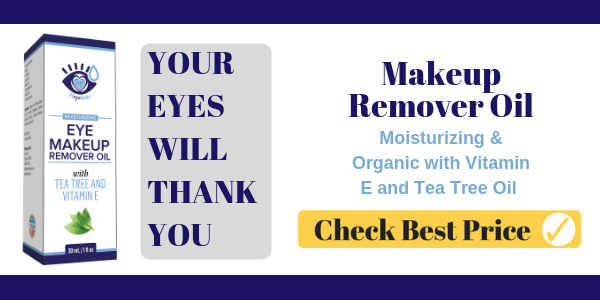 We Love Eyes’ natural eye cleanser rejuvenates and revitalizes your eyes with no involvement of harsh chemicals. It is completely gentle and contains only natural and non-toxic ingredients to treat your eyes and provide much-needed relief, no matter your condition. 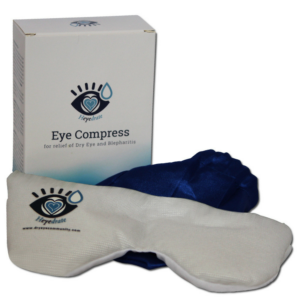 It’s the first formulated eye cleansing system that was developed by optometrists. With tea tree oil, jojoba oil, and grapeseed oil as key ingredients, the cleanser removes all debris, allergens, and other sources of inflammation so your eyes can feel soothed, brighter, and happier. Before use, remove any makeup and contact lenses and wash your hands. Put two to five drops of the cleanser onto a swab of cotton, and with your eyes closed, scrub the base of your eyelashes. Repeat on both eyes. Use once a day, in the evening before bed. 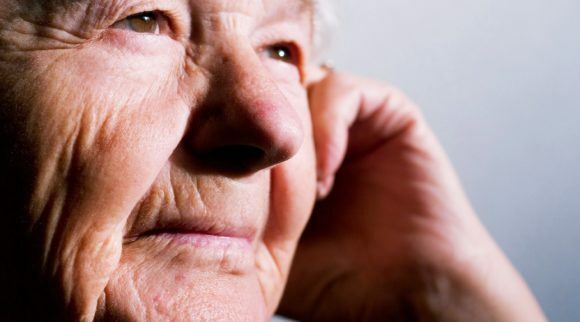 If your eyes are sore, swollen, red, itchy, and you’re experiencing discharge, there may be many reasons behind this. However, if your eyes are bothering you, you should ensure that they are checked out as soon as possible. If you have sore eyelid, or edema, some of the underlying symptoms can be serious or may become serious. It’s best to meet with your eye doctor right away, as determining your condition and how severe it is will lead to the best treatment. Your doctor may prescribe medications, or they may recommend many of the products above. These products are very popular and have successfully helped many people with their eye conditions. It may be merely a matter of personal preference as to whether you get a spray, cream, mask, or lotion. Whichever product you choose in the end, each should bring you immediate, long-lasting, and soothing relief from the symptoms of your sore eyelid.